Over the last year or two, bundle sites have emerged as a growing force in digital content distribution. These sites run sales for limited amounts of time that "bundle" together video games, music, movies, even digital comic books, selling the complete package at a massively reduced price and often giving some of the proceeds to charity. The benefits to buyers are obvious, as they receive a large amount of content at a huge discount. However, the benefit to content creators, especially indie game developers, can seem more nebulous. Recently, two independent games developers publicly refused to grant Steam keys, at least temporarily, to past purchasers of their games through bundles and similar sales. Their objections were mostly monetary, believing that the majority of these purchases were people massively underpaying for the product. 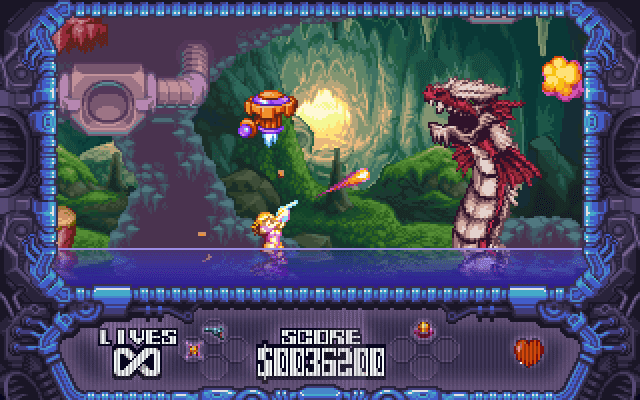 By focusing on the money, they embraced familiar fallacies of the game development business while also endangering the greatest benefit of bundles, marketing and exposure. The business models of bundle sites vary, but most derive their pricing in part from the Humble Bundle. The Humble Bundle has changed its details a few times, but the current standard is that part of every bundle is available for any price, though some restrictions are enforced for payments under a dollar. If the buyer pays more than the average purchase, than additional games or other content is also awarded. That "average price" is usually started at $10 or so, guaranteeing that it will usually end up around $4. 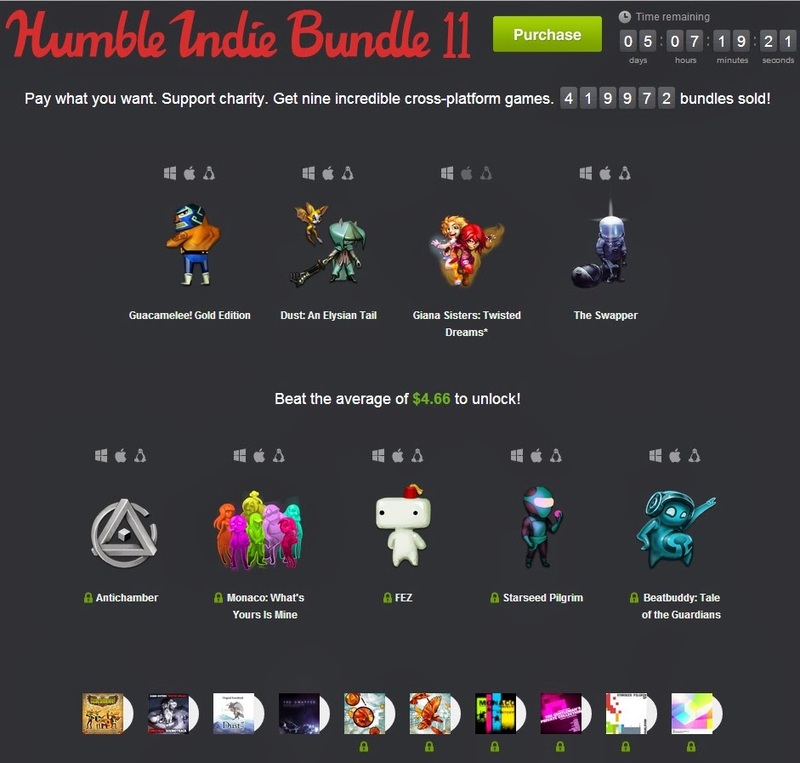 After the sale ends, revenues are split between the game developers, charities involved, and Humble Bundle itself. Newer sites have tried different variants on this pricing scheme. IndieRoyale increases the price for the bundle for every purchase, but lowers the price when a customer pays substantially more than the current minimum. Other sites, like IndieGala or the new Blink Bundle, simply charge a flat rate for different tiers of content. Groupees is currently experimenting with bundles that require only a dollar purchase with encouragement to pay more, but that model may not be sustainable since the majority seem to pay the bare minimum when possible. 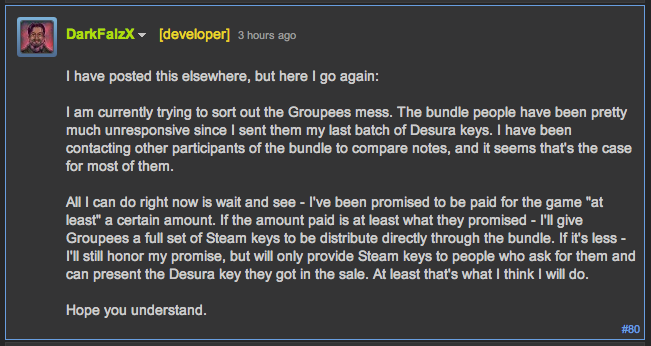 In fact, the Groupees bundle is what sparked the latest disgruntled developer incident. The creator of Ultinous: A Tale of Petty Revenge refused to grant Steam product keys for his recently Greenlit game because he believed the bundle site was underpaying him. He even claimed he was scammed, since he found it impossible that the majority of people payed only a dollar for the bundle. Unlike another similar incident, he did not refuse keys altogether, but was requiring emails from anyone interested in receiving keys, creating an extra burden for himself and the customer. He later deleted most of his comments, retracted his decision, and apologized to the Groupees site, but not before creating a fair share of ill will with the community. The issue of Steam keys is only pertinent to games that have yet to appear on the juggernaut digital distribution platform. For most independent developers, Steam is the only place games can be sold in enough volume to make a profit, with many computer game enthusiasts refusing to play anything that isn't available on the service. It's become tradition, if not outright advertised as such, that bundles will provide product codes for accessing games on Steam if customers help get those games on the service. The developer of Ultionus was viewing his involvement in a bundle incorrectly. By focusing on the paltry price per copy of his game, he missed the greater boon that the sale provided. At the time of the sale, he had no games released under his name, and his game had just entered the Greenlight process only a few months earlier. Within a few weeks of the bundle, his game was Greenlit for sale on Steam, something that can take games years to achieve. While there's no way of tracking it, most of those votes probably came directly from purchasers of the Groupees bundle. For established developers, bundles can provide some additional revenue.on games that have been released a long time and already sold the most they will at retail price. New developers and creators not only gain additional revenue for their ongoing projects, they also receive an incredible amount of free marketing. By selling their unknown game in a bundle, they have reached thousands of people that probably would have never seen their game. They'll receive press coverage from websites reporting on the bundles, as well as that vital support necessary to get games on Steam. The danger is in viewing those bundle purchases as lost sales, similar to the industry's view of pirated games. Like piracy, it's impossible to tell how many purchasers of a bundle would have payed full retail price for the game. However, unlike piracy, those buying bundles are still paying something, and the content creator is still receiving some compensation for his efforts. In addition, most bundles contain enough different products that many buyers are only receiving your game because they're interested in something else. Instead of viewing each bundle purchase as a lost sale, it's best for developers to view each of these customers as part of a street team. If they enjoy the game, they will tell their friends about it, write positive reviews, and generally provide good word of mouth that would be otherwise missing. Instead of launching on Steam as an unknown, these games will instantly have a community that will attract customers willing to pay the full retail price. There's also the benefit of exposure for future projects. Independent games developer Rami Ismail has talked of creating a game as a "business card," by releasing a simple, free game that shows your skills and style as a developer. This potentially attracts publishers willing to invest in your future games and creates a fan base that will support future efforts. Games sold in bundles have a similar effect, with the added benefit of producing some amount of income. The developer of Ultinous successfully Kickstarted a different project last year. Having an already released, popular game will only make that future title more successful. The greatest danger with bundles, then, is squandering the exposure through bad public relations. 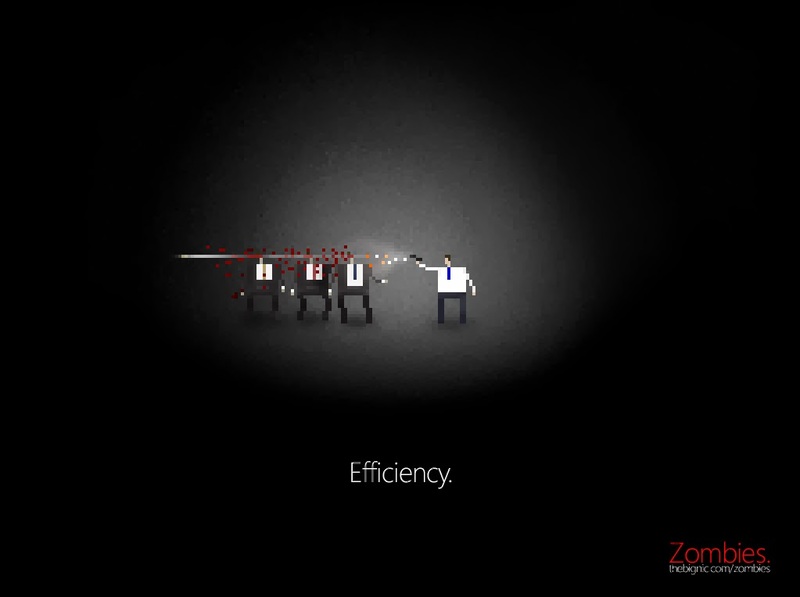 The creator of Corporate Lifestyle Simulator, formally known as Zombies., added additional content for the Steam release of the game. Wanting to charge extra for new content is understandable. Instead of releasing it later as an expansion, however, he decided to use loopholes and exact contract language to deny Steam keys to past purchasers of his game, even in places where those keys were advertised as a future bonus. Even worse, he called his own customers "scumbags" on Twitter in response to some admittedly over-negative responses. Being a games developer is surprisingly difficult, as any comment or decision made publicly can inspire irrational hate and invective from unreasonable people. Many independent creators are also lacking in public relations skills, and are ill equipped to deal with issues of image and marketing. However, some of this negativity can be avoided. The customer is not always right, but it's best to honor their wishes whenever possible, especially if the potential profit from angering them is theoretical and unlikely. The creator of Corporate Lifestyle Simulator quickly saw the error of his ways and reversed his decision, though only after receiving some unwanted levels of hostility. Some of the potential goodwill and positivity for his new game is now squandered, as well as some of the support for future projects. Customers purchasing a game twice, once in a bundle and again when it's released on Steam, is unlikely unless they're incredibly happy with the product. Developers should treat those people well and give them the most value, because those happy players will be the ones bringing in new buyers in the future.